This is my first for sale post here... And since it is quite on topic, I am starting to think I should have done this before! Due to this, I have been trying to sell some equipment that I haven't really given much use and that I feel would be more worth giving up to get some extra space available. Other than that, it works pretty well and comes with two EXB-PCM expansion boards installed (EXB-PCM03 Future Loop Construction and EXB-PCM04 Dance Extreme), to add some nice extra sounds to it! If this one sells, I can say right away I will definitely be adding a board with KARMA to my setup when I have more space available! 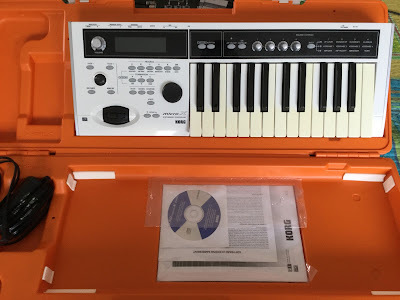 It has great sounds like the Korg Triton / Karma, but takes so much less space, and it even has a nice case to be stored in! Other advantages include USB, so that you can easily use the editor Korg made available! 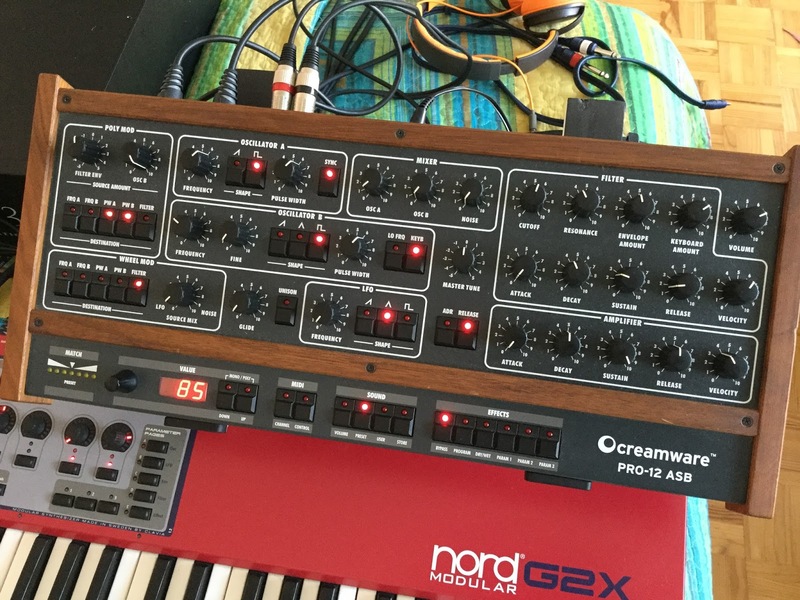 A great emulation of the classic SCI Prophet 5! If you search for it, you can find people claiming it sounds more like the real thing than the DSI Prophet 08, which is actually an analog synth! This unit is in pretty good shape, with only some very minor flaws in the wooden part, and a data encoder that sometimes skip when you are turning it slowly (but in those situations, you have the up / down buttons...). 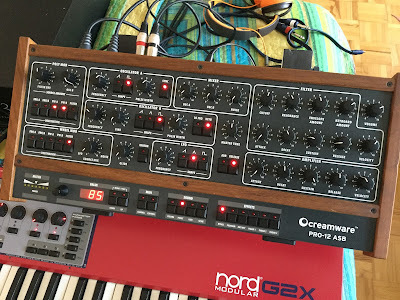 And considering I have similar sounds in my Creamware Noah EX (which is nowhere near as nice to use if you want to program your own sounds...), I rather give up on it since it is still a quite valuable unit (with a very good reason as you can confirm in the demo)! However, that doesn't mean they are not amazing machines, which they are, as I could confirm when I was giving them a proper test! However, these two units have some features that make them fairly unique! For instance, the Yamaha TX16w is the only 12 bit sampler I can think of with digital filters, which definitely gives it a quite unique sound! And of course, you can use it as a standalone effects processor, with up to 6 effects running at once (each of them with 96 different algorithms to choose from)! But that's not all, and from all I remember searching when I was getting my Yamaha A5000, you should be able to layer as many samples as you want with it (or better said, up to 128 which is the polyphony this unit gives you), which means you should be able to create nice additive sounds with it that can be resampled! This should be fixed for proper use, but the unit is usable as it is (as you can confirm from the demo, as it was like that when I programmed those effects in it). Other than this, the only flaws I can see are some cosmetic marks, but nothing too relevant. 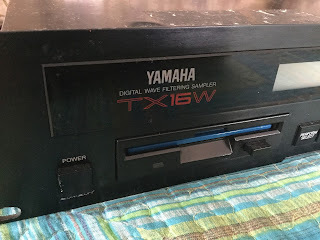 The Yamaha TX16w comes with a floppy disk with the Typhoon OS, while the Yamaha A5000 comes with 68Mb of RAM (128Mb is the maximum) and an internal HD with around 1Gb (basically empty... it has few samples and my effects programs). If you need an EQ and a compressor, this is an amazing bundle! 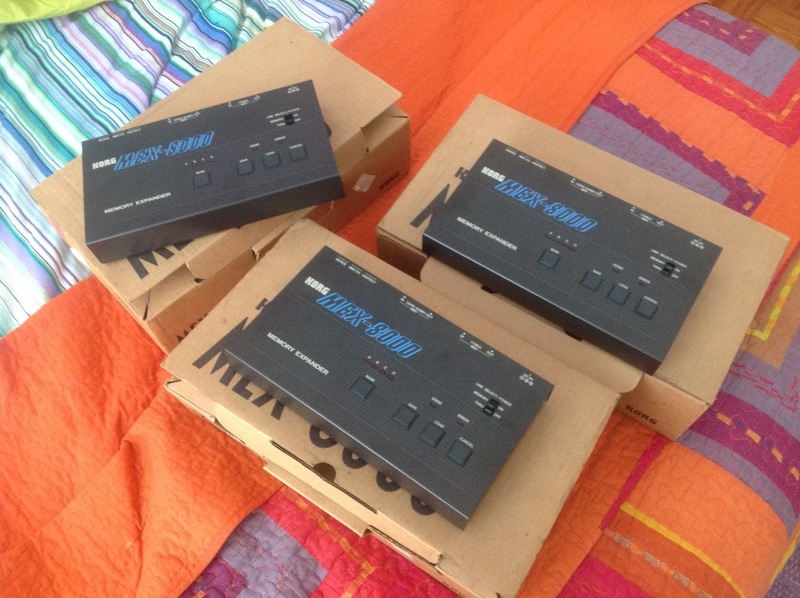 The ARX EQ60 is supposedly an Australian clone of the classic Klark Teknik EQs, but much much cheaper! The Yamaha GC2020IIB is a more regular compressor, but does it job just fine! 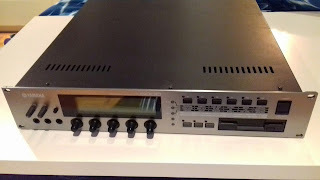 Unfortunately, both units need some clean, as there is some scratching (almost inexistent on the Yamaha GC2020IIB, but considerable in the ARX EQ60), but they are otherwise fine and there is no nasty background noise to any of them. 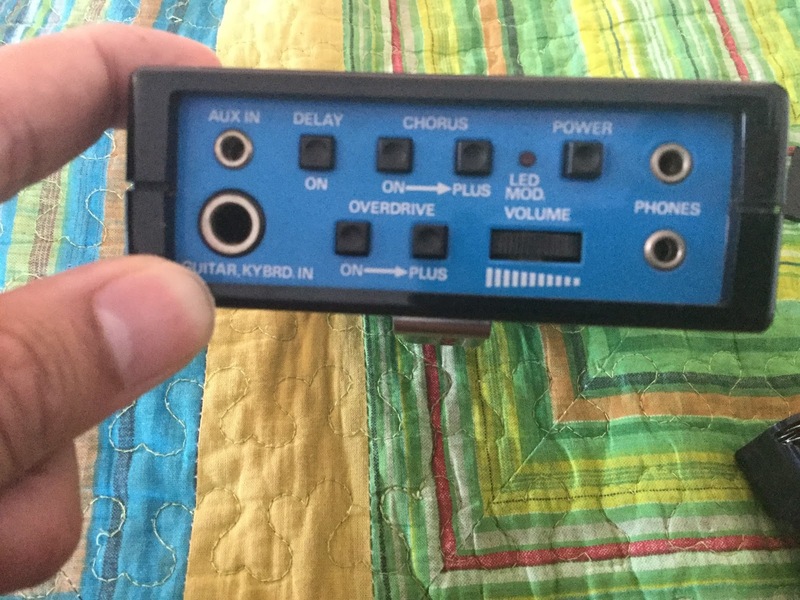 This is a small portable headphones amplifier done by Rockman (technically not, but it is their design...) with delay, chorus and overdrive (these last two effects have two different settings), which definitely add something to the sound! Anyway, I put it for a great price exactly because of that (and because I know I'm not really going to use it...). Each of these units features 4 independent effects units, each of them with a specific task, and different chains available to route those effects! Unfortunately, there seem to be some problem with the jacks and switches in the back and sometimes it seems the connection goes bad... It is usually sorted by moving the cable a bit or messing with the switches in the back, but I would strongly suggest a proper check (which is why I am considering this low price). Together with two of these amazing effects processors, you'll also get a pedal board to select the effects, but unfortunately the cable is still with a friend of mine who seems to be away for a while... Anyway, it shouldn't be too hard to create a new cable for it. A classic drum controller (with Mickey Mouse shape!) in pretty good condition (barely played with). It comes with the original box and power cable (and a bit of dusty pads still... sorry about that... :S)! These one might be a bit of a problem to send, but it is a complete set of pads made by Dauz especially for KAT! These are high quality pads that were barely used, since I ended up never getting the support for them (and since I got complete electronic drum kits since, don't really intend to put more money on these...), so the rubber is in pretty good shape (some are even in their original boxes...). Dauz seems to just produce these pads on order, but the last time they had prices available, you'd pay over 600€ for a set like this, without considering customs, shipping costs and no KicKAT (which I'm actually not sure was made by Dauz or not...). But since they are just taking space, I rather get them out of here for a low price (my loss your gain, really!). 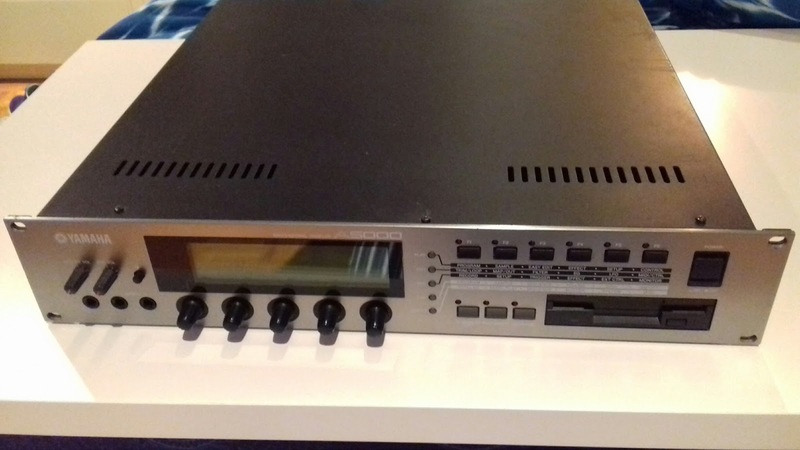 If you have an old Korg unit from the 80s, this unit will most likely be able to store and manage patches from it! 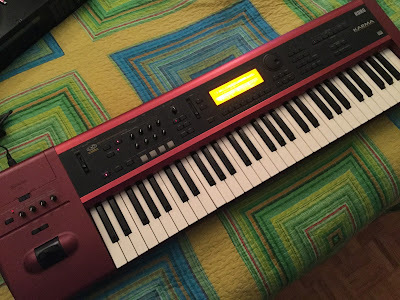 I still have two of them (one like new in box with original documents, while the other has a tiny rusty spot on one side and is missing some documents...), but end up never using them with my Korg Poly 800 MkII (the only machine I can use it with...). In fact, the only time they were used was to confirm that they actually work, a couple of weeks ago (despite I got them as NOS products from a store around 10 years ago...). So I think it's really time to let them go! The last two cards I have for these machines, a JAZZ1 (sealed) and a TIMBALES1 (in original box). I got them in a store as NOS products around 10 years, together with many other cards that I sold by now. During that time, I only used the cards once with the Korg DDD-5 I had, so that I could sample everything with my Akai S6000. Other than that, they weren't used at all, so there is a big chance that the TIMBALES1 I still have wasn't even used. This is the cheapest one of the bunch, since I really have no use for this software, as my M-Audio card is long gone! Unfortunately, this means I can't give it a proper testing, but can say I never had any problem with it! LocoBox CosmoChorus - A rare chorus unit, with a really nice sound to it (when I compared it with the Boss CE2 I had, didn't feel this one was a worse unit, quite the opposite...). Pearl AD-33 - Analog delay with two different settings that can be easily switched with a pedal, and a great sound to it! 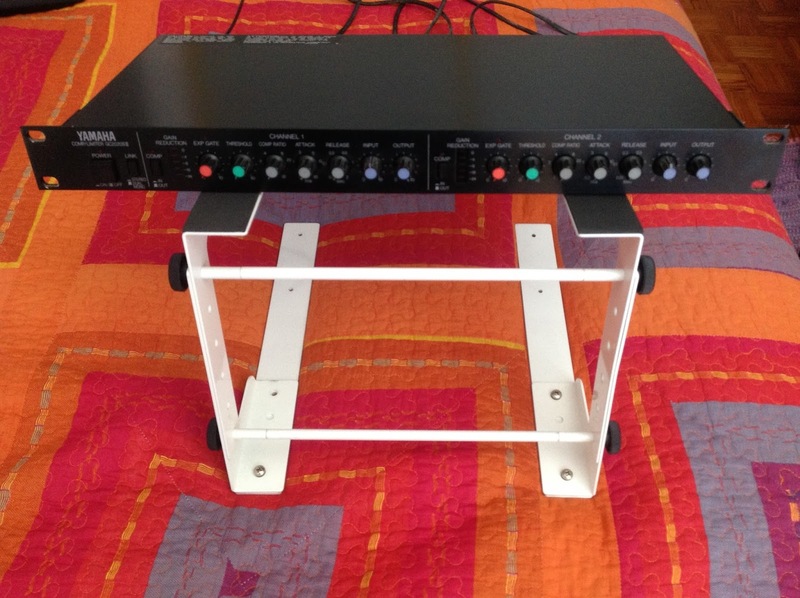 Yamaha FL-10M II - Nice flanger pedal in original box. Yamaha OD-10M II - Nice overdrive pedal in original box. Don't get me wrong, these pedals are great and can provide quite some unique sound (especially the DOD... I tried to emulate that kind of chorus with my Eventide ModFactor and couldn't get anywhere close...), and sometimes they can be the perfect secret weapon to use in a track! And I think this covers it! If you have some kind of question regarding any of these instruments, or you want more photos, don't hesitate to contact me (best place might be the Synth-ing's own Facebook page, but you can leave a reply to this post as well). And of course, if something gets sold, I will try to upload it in this post!